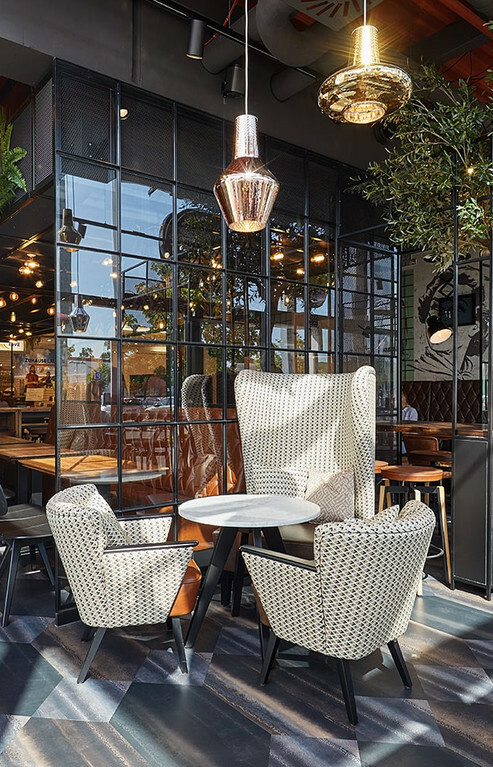 The entire concept of the busy Dodenhof location with its peaks on weekends is perfectly attuned to the target group of young people and fashionistas. 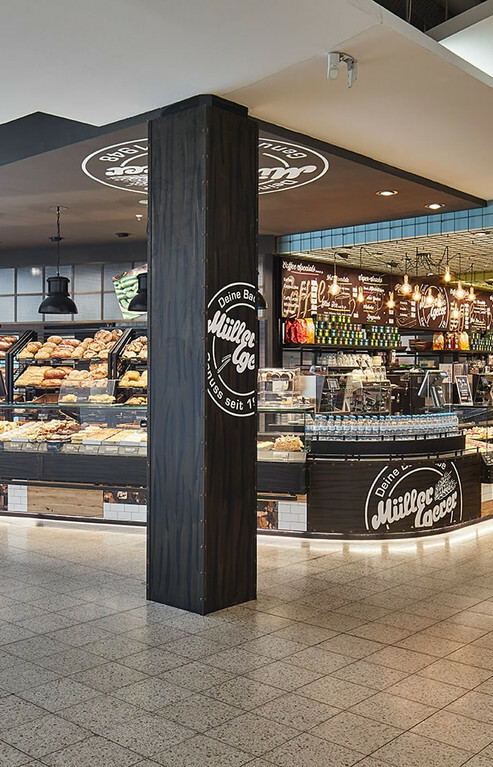 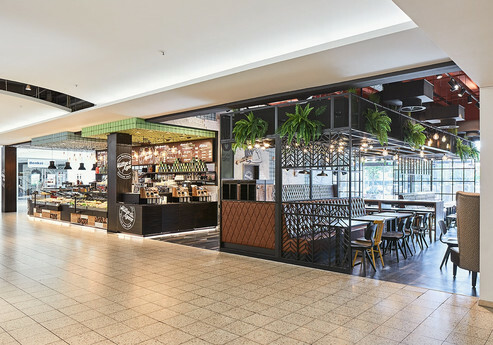 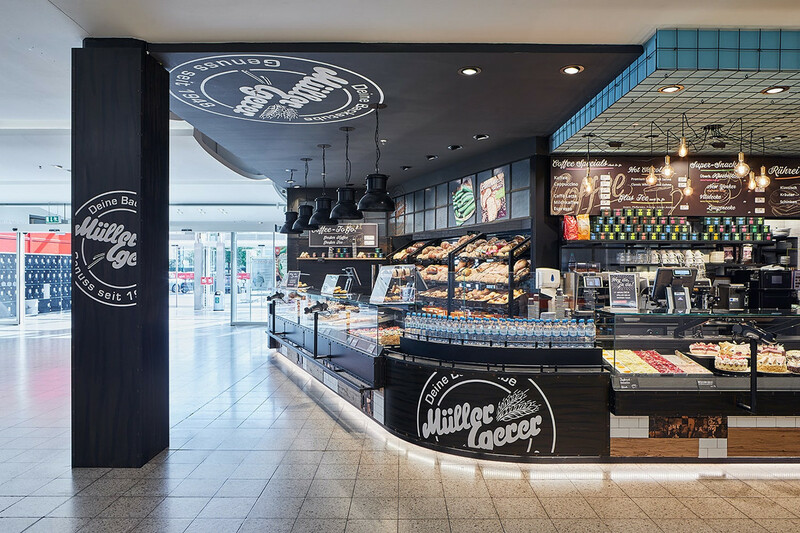 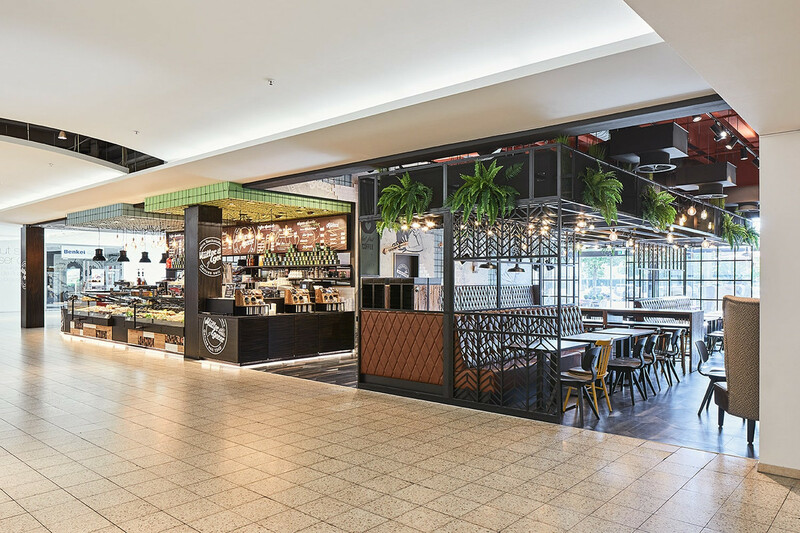 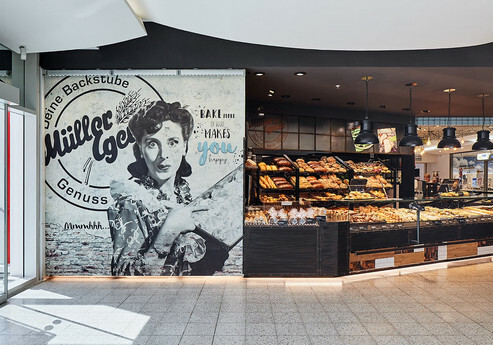 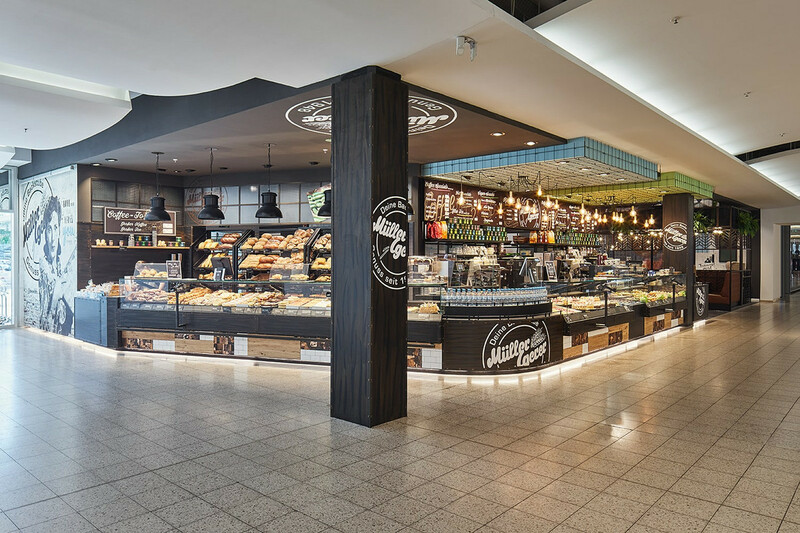 The counter is divided into two separate areas, the bakery and snack counters. 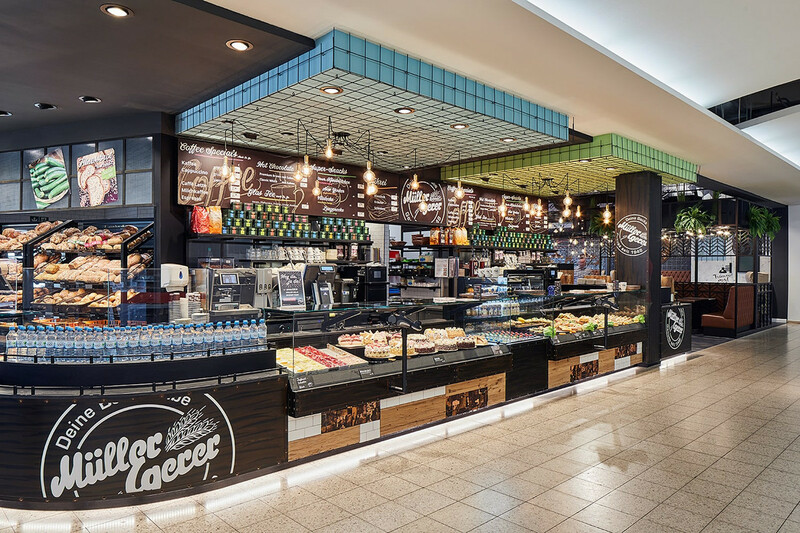 At the snack counter, two stations with integrated EC cash devices on the counter front allow for two queues as well as quick and easy customer service. 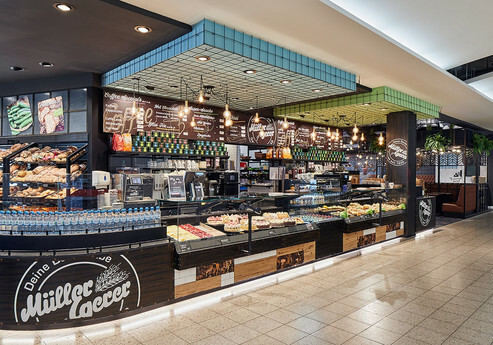 The prominent counter, mix in materials and the protruding, suspended ceiling in pastel shades emphasise the stations. 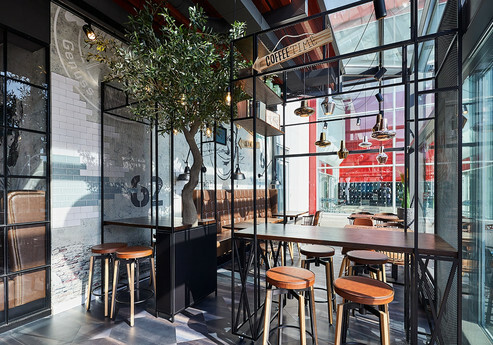 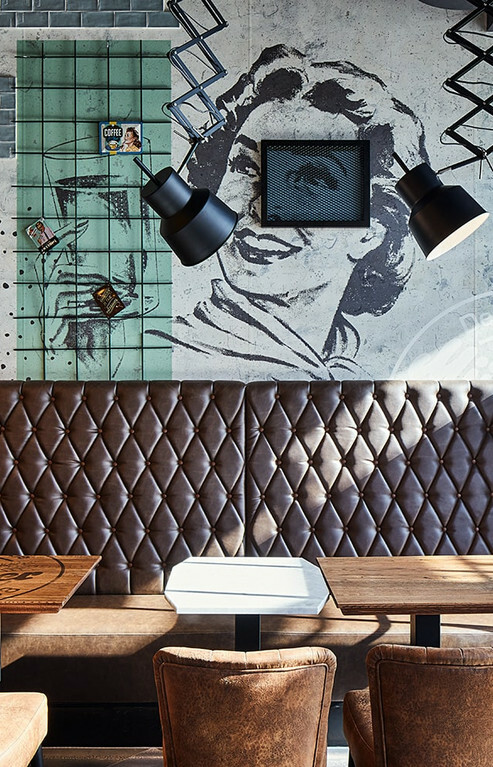 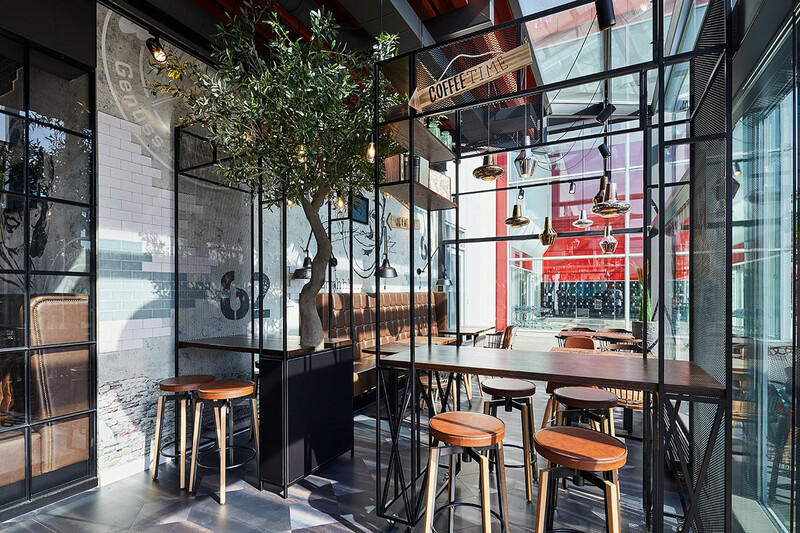 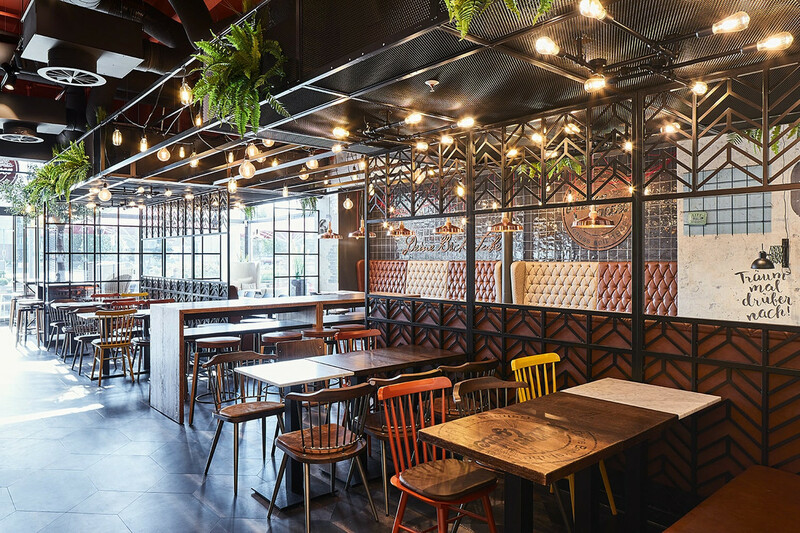 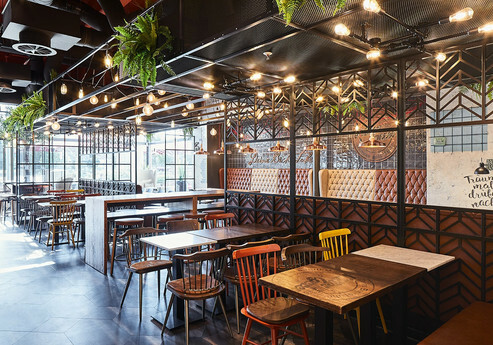 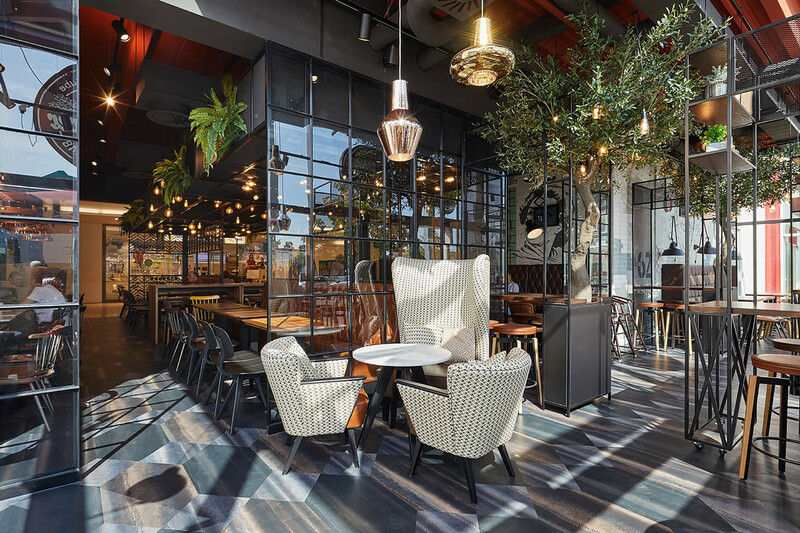 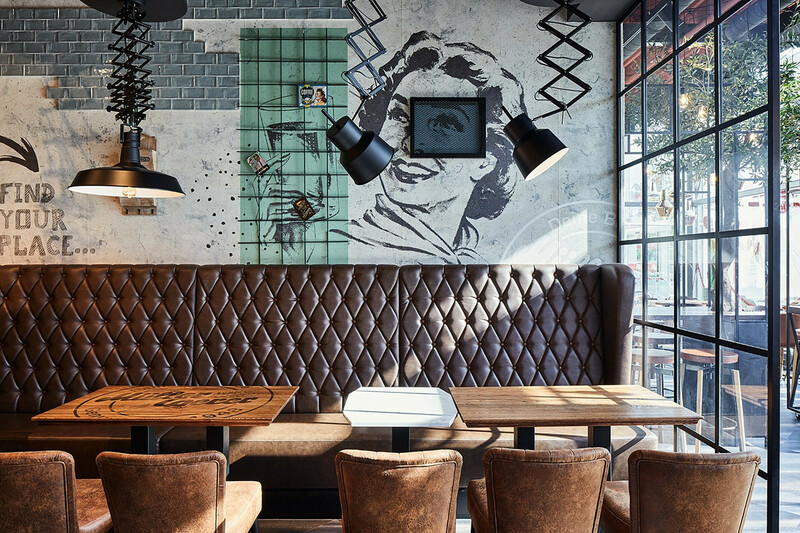 Materials such as black steel, patchwork-style tiles, copper and “Sunwood” oak as well as bright colours are the main elements of the modern, hip design.